Even for the most careful of drivers, there is no telling what can happen while on the road. Some things you simply have no control over, such as the actions of other drivers, as well as poor weather and road conditions. As such, honing your defensive driving skills can go a long way in avoiding the dangers that may arise from people’s bad driving behaviors or unpleasant driving circumstances. Defensive driving is the practice of training for adaptability behind the wheel and goes beyond just mastering the driving basics and the rules of the road. It aims to reduce collision risk and other driving incidents by anticipating dangerous situations caused by adverse weather conditions or the mistakes of others. At Western Slope Driving Institute, we teach aspects of defensive driving in our courses. Because all of our instructors are retired or active police officers, you can rest assured that we can provide the best possible driving education to teenagers. So exactly what aspects of defensive driving does WSDI teach in its courses? Here are a few of them. Planning ahead includes leaving early to make allowances for traffic, poor weather, special road conditions, and unforeseen circumstances. It can also mean planning the best route, using maps or navigation systems for routes you are not familiar with, looking for a suitable driver for certain trips, scheduling a parent-taught driver’s ed practice session with your teen driver ahead of time, or asking a family member to limit their driving. Driving is not just about keeping your hands on the wheel and your eyes on the road. It also requires that you focus on driving and avoid things that sidetrack you, such as calling or texting, eating or drinking, talking with passengers, browsing social media, fiddling with the stereo dials, taking pictures, and so on. Distraction-free driving allows you to respond fast to driving emergencies. Traveling beyond the speed limit is against the law for a reason: It puts not just your life at risk but those of others on the road as well. While you can wiggle your way out of a speeding ticket in certain situations, there is no turning back time if speeding results in a fatal crash. Keep a safe following distance between you and other drivers. This ensures you have an escape route and have enough room to perform evasive maneuvers when needed. No matter how hard you try, you cannot control your fellow motorists - the sooner you accept this as a fact of driving life, the better for you. There are driving rules, but while every driver is expected to follow them, not everyone is keen on doing so. Expecting the worst when driving allows you to drive with caution and avoid possibly dangerous situations. 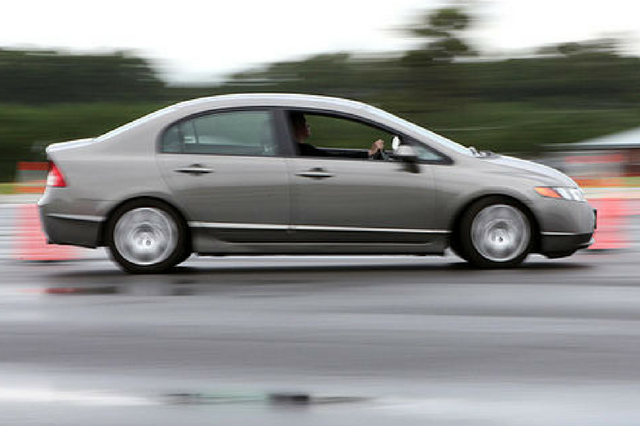 Defensive driving is a skill a driver of any age must learn and cultivate. Safe and responsible driving saves lives, after all. Would you like to enroll your teen driver in a defensive driving course? WSDI can help. We even offer custom driving courses specific to your child’s needs. Call us today so we can discuss how we can assist you.